I try to keep this website as current as possible but sometimes other things take priority. Please check with us if you are looking for something specific that you don't find on this page as it may be available even if it is currently unlisted. This page is for items we may have available apart from the things that have their own page such as artwork, milk, bath products, etc. 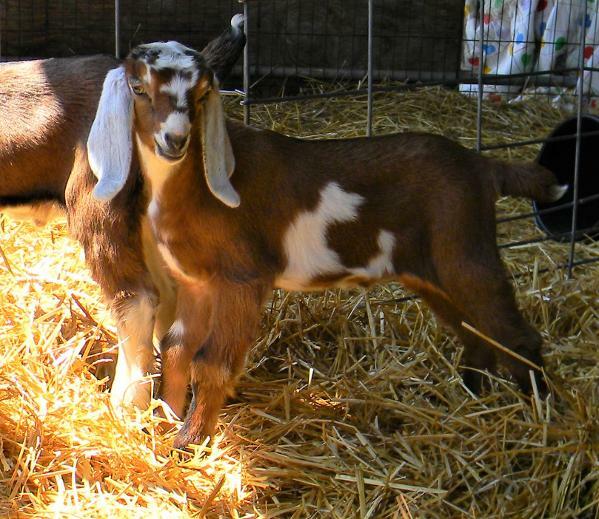 We have three bucklings available as herd sires and a few bucklings to sell as unregistered wethers-to-be. I will post them below! *B buckling out of Camelot Cattle Co Dahlia 1*M sired by *B Tamris Farm Sap's Onyx. Born March 7, 2019 and being bottle raised on coccidia prevention. Tested clean, G6S normal herd. This buckling has a lot to offer. 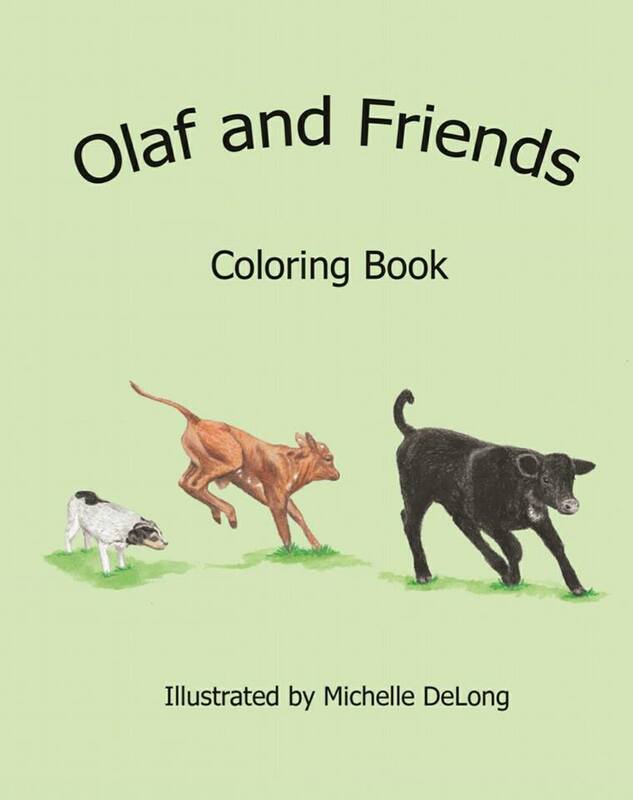 He is solid, long and wide with pliable, dairy skin and lovely breed character. He brings production, type, and hardiness to the table. His dam milked over 11 pounds at just 13 days fresh on our first 2019 test. 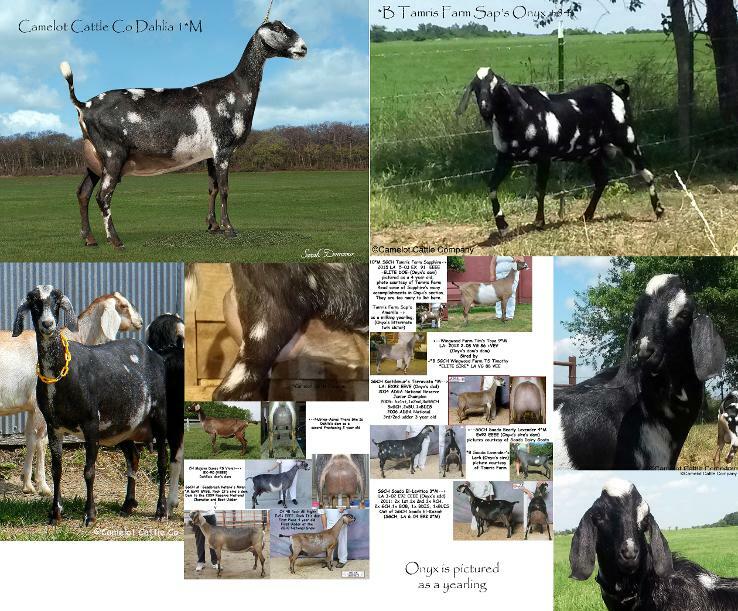 His sire's dam is SGCH Tamris Farm Sapphire 10*M Elite Doe (top 99% of Nubian milkers) with an Ex91 (EEEE) score and multiple time Top Ten doe. His paternal sister's 2018 305 ME was over 3500 lbs as a first freshener. This nice buckling has it all and is being offered for $800. We are offering a substantial rebate for herds participating in performance programs. *B buckling available out of Nubilop-Acres Just Look At Me 1*M, sired by +*B Sweet-Spring Calvin Klein Ex91. Born March 8, 2019 and being bottle raised on coccidia prevention. Tested clean, G6S normal herd. This buckling has beautiful breed character and lovely pliable skin. He should bring nice, big frames and spring of rib to your herd as well as production and type. His dam milked over 2800 lbs last lactation and he has yearling paternal sisters qualifying as Elite milkers. This sweet boy is being offered for $600. We are offering a substantial rebate for herds participating in performance programs. We are making an exception and offering a really nice buckling out of first freshener, Camelot Cattle Co Veela, daughter of Nubilop-Acres Lytle Puff 1*M V89, and sired by +*B Sweet-Spring Calvin Klein Ex91. 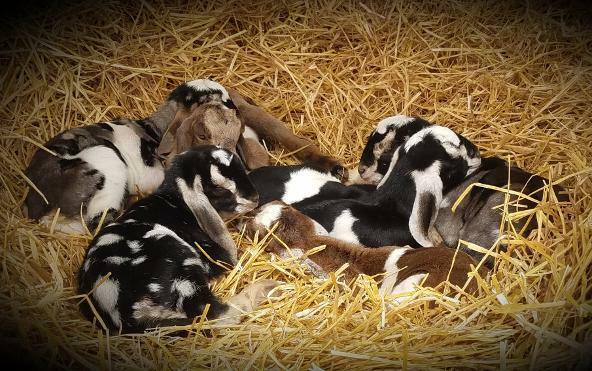 This buckling was born March 28, 2019 and is being bottle raised on Jersey milk with coccidia prevention. Tested clean, G6S normal herd. He has exceptional breed character and impressive spring of rib and depth of barrel. His dam's first freshening udder is exceptional. She has wonderful texture, capacity, attachments, teat placement...everything it takes for a phenomenal mammary system. She is a hardy doe with impressive body capacity, beautiful breed character, and superior dairy strength. She is milking very well for a first freshener and should have no issues earning her *M, making this buckling a *B once we dry her off at the end of the year. 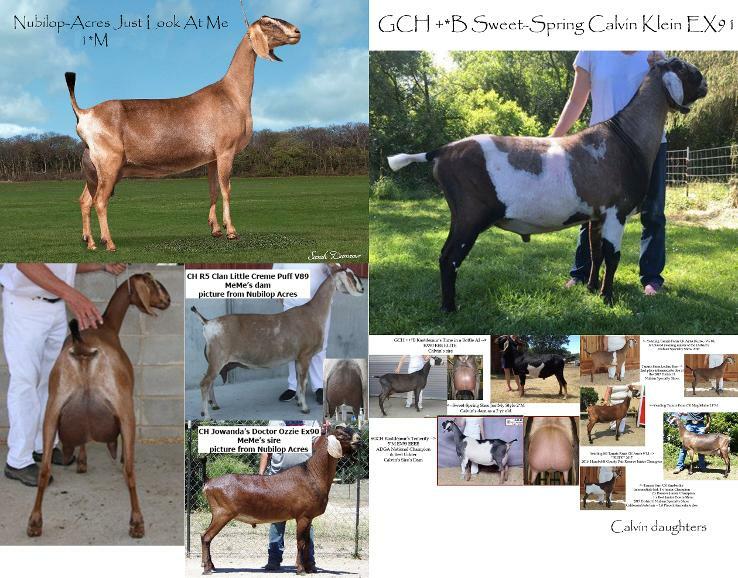 This buckling has a lot to offer your herd for a bargain $500. This nice buckling out of Raven has a lot of depth of body and nice breed character. His dam has a nice high, well-attached udder that is very wide at the top. She has lovely dairy quality and milks out easily. Will sell with papers for $400 or or without papers for $200. *Note: I will package deal him cheaper if bought as a companion with another goat. This handsome boy is being sold without papers from our tested clean, G6S normal herd. He is a very healthy, big boy with a great appetite. He is being bottle raised on Jersey milk and on coccidia prevention. Very sweet boy with wonderful personality--would make wonderful pet wether or used intact to improve a grade herd. $200 *Note: I will package deal him cheaper if bought as a companion with another goat. 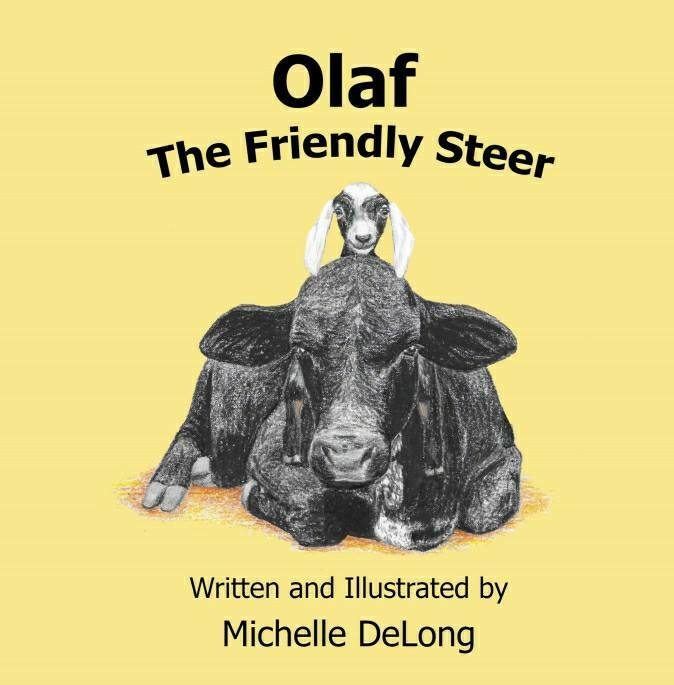 We also offer copies of Olaf The Friendly Steer that are signed by the author/illustrator as well as Olaf himself for $20. 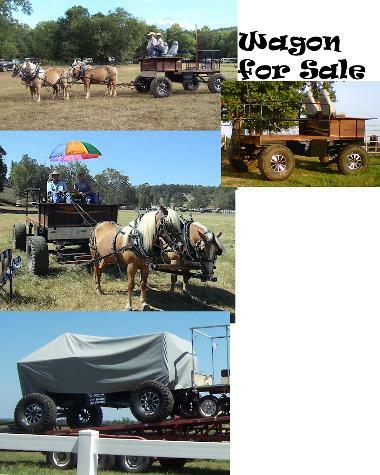 We are selling our big, fancy horse-drawn wagon. It's custom built, made out of the highest quality walnut wood, high quality marine stereo system, lights on front and rear as well as small spotlights on the back with toggle switches to control, hydraulic brakes with chrome brake pedal, on-board marine charger easily plugged in to charge marine batteries, bucket seats, underneath storage cage, etc. It has a heavy duty custom-made cover that comes with it as well. Very, very cool wagon. Tongue will work with a team or with four up. 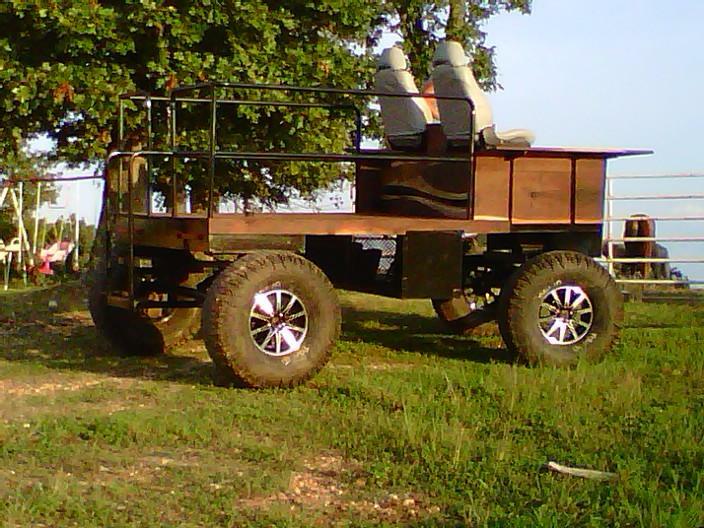 Great party wagon and great at chuckwagon races (this wagon is well known at the big races in Clinton, AR). Also, a great wagon for parades. Has a place for a pole in the back for a flag or any other kid of attachment you want to display. The wagon measures 8 feet from outside of one tire to outside of the other. This wagon can't be built for this price! We have more invested in it than we are asking, only $4500! It's one of a kind! Come see it in person...pictures just don't do it justice!